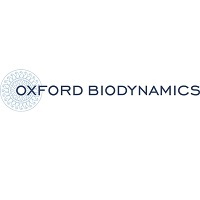 The share price for Oxford Biodynamics PLC ticker code: LON:OBD has increased 7.15% or 8.9 points during the course of today’s session so far. Market buyers have remained optimistic during the trading session. The period high was 133.4 dropping as low as 126.56. Volume total for shares traded at this point reached 22,328 while the average shares exchanged is 139,892. The 52 week high price for the shares is 226 some 101.5 points in difference to the previous days close of business and a 52 week low sitting at 117.2 making a difference of 7.3 points. Oxford Biodynamics PLC now has a 20 simple moving average of 136.36 and now its 50 day simple moving average now at 153.76. This puts the market cap at £123.47m at the time of this report. Share price is traded in GBX. Mcap is measured in GBP. This article was written with the last trade for Oxford Biodynamics PLC being recorded at Friday, April 12, 2019 at 10:24:58 AM GMT with the stock price trading at 133.4 GBX. Shares in Mediclinic International PLC with EPIC code: LON:MDC has stepped up 1.47% or 4.6 points during the course of today’s session so far. Traders have remained optimistic while the stock has been in play. The periods high figure was 319 and a low of 309.5. The volume total for shares traded up to this point was 211,462 whilst the average number of shares exchanged is 1,210,640. A 52 week high for the stock is 712.4 which is 399.4 points in difference on the previous days close and a 52 week low being 293.1 a difference of some 19.9 points. Mediclinic International PLC now has a 20 moving average of 316.88 and now a 50 day MA at 319.9. Market capitalisation for the company is £2,341.49m at the time of this report. The currency for this stock is GBX. Market cap is measured in GBP. This article was written with the last trade for Mediclinic International PLC being recorded at Friday, April 12, 2019 at 11:59:54 AM GMT with the stock price trading at 317.6 GBX. The share price for Mondi Plc with company EPIC: LON:MNDI has risen 1.86% or 33 points in today’s trading session so far. Market buyers seem confident during the trading session. The periods high figure was 1807.5 and a low of 1760.5. The total volume of shares exchanged through this period comes to 332,777 while the average shares exchanged is 1,995,272. A 52 week share price high is 2250 around 480 points different to the previous business close and a 52 week low sitting at 1557.5 a difference of some 212.5 points. Mondi Plc has a 20 SMA of 1764.7 and now a 50 day moving average at 1818.29. The market capitalisation is now £8,770.88m at the time of this report. The share price is in Great British pence. Mcap is measured in GBP. This article was written with the last trade for Mondi Plc being recorded at Friday, April 12, 2019 at 11:59:08 AM GMT with the stock price trading at 1803 GBX. Shares of Rio Tinto plc ticker code: LON:RIO has moved up 1.37% or 64.35 points during the course of today’s session so far. Investors are a positive bunch throughout the trading session. The periods high has already touched 4789.5 and hitting a low of 4707.5. The total volume traded so far comes to 701,292 with the daily average traded share volume around 3,879,956. The 52 week high for the shares is 4789.5 which is 76.5 points different to the previous business close and a 52 week low sitting at 3460 is a variance of 1253 points. Rio Tinto plc now has a 20 simple moving average of 4487.65 and now its 50 day moving average now at 4405.57. Market capitalisation for the company is £60,389.21m at the time of this report. Share price is traded in GBX. Mcap is measured in GBP. This article was written with the last trade for Rio Tinto plc being recorded at Friday, April 12, 2019 at 12:00:01 PM GMT with the stock price trading at 4777.35 GBX. The trading price for Rolls-Royce Holding PLC with ticker code: LON:RR has risen 1.23% or 10.8 points during today’s session so far. Market buyers have remained positive during the trading session. The high for the period has reached 894.6 dropping as low as 880.8. The total volume of shares traded by this point was 949,726 with the average number of shares traded daily being 5,392,551. A 52 week high for the stock is 1104.5 equating to 224.5 points difference from the previous close and the 52 week low at 9.88 which is a difference of 870.12 points. Rolls-Royce Holding PLC now has a 20 SMA of 913.19 and a 50 day MA at 928.31. The current market capitalisation is £16,965.37m at the time of this report. The stock is traded in GBX. Mcap is measured in GBP. This article was written with the last trade for Rolls-Royce Holding PLC being recorded at Friday, April 12, 2019 at 11:59:32 AM GMT with the stock price trading at 890.8 GBX. The share price for Royal Bank of Scotland Group plc with company EPIC: LON:RBS has gained 1.2% or 3.1 points in today’s trading session so far. Market buyers have remained optimistic throughout the session. The periods high has reached 261.1 and a low of 256.7. The total volume of shares traded by this point was 2,510,848 while the daily average number of shares exchanged is 19,961,145. The 52 week high for the share price is 297.4 amounting to 39.5 points difference from the previous days close and the 52 week low at 200.1 a difference of some 57.8 points. Royal Bank of Scotland Group plc now has a 20 SMA of 257.14 and now a 50 day moving average now of 256.51. The current market cap is £31,555.00m at the time of this report. All share prices mentioned for this stock are traded in GBX. Mcap is measured in GBP. This article was written with the last trade for Royal Bank of Scotland Group plc being recorded at Friday, April 12, 2019 at 11:59:53 AM GMT with the stock price trading at 261 GBX. Click MDC MNDI OBD RBS RIO RR for the full archive.